We are leading player in thermal engineering and have experience of designing drying systems and drying equipment for more than 20 years. We can design drying system for different product of various nature and with different process parameters. 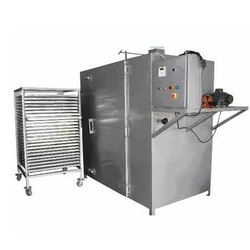 Tray dryer, Vacuum dryer, Paddle Dryer, Rotary Dryer. Continuous dryer, Tunnel dryer, Flash Dryer, Hot Air dryer, Spray dryer. Electric, Steam, Thermic fluid, Direct fired by coal, Gas, Diesel etc. We offer Paddle Dryers for our clients spread worldwide. These are extensively used for efficient drying in the Chemical & Food Process Industries. Further, these are useful for drying temperature sensitive, easily disposable, Toxic, Hygroscopic and fine dust generating material. 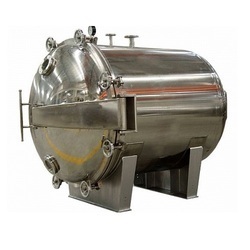 We are involved in providing best grade Vacuum Dryer in industry, which are manufactured by making use of top-class raw materials and sophisticated technologies. Under the leadership and vigilance of the industry experts, we have developed these dryers in adherence with the international quality norms and standards. Apart from this, we offer these dryers in several specifications and at most affordable rates in the market. 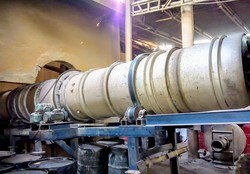 We are also engaged in manufacturing, supplying and exporting a wide range of Drum Dryers. In accordance with the international quality norms, these Dryers are designed and developed using premium class materials and modern technology methods. 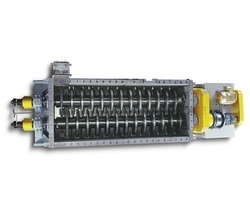 These Dryers are widely demanded in various industries for their smooth performance, easier operations, less maintenance and longer serving life. We are also engaged in manufacturing, supplying and exporting a wide range of Tray Dryers. In accordance with the international quality norms, these Dryers are designed and developed using premium class materials and modern technology methods. These Dryers are widely demanded in various industries for their smooth performance, easier operations, less maintenance and longer serving life.